Koger Cosmetic Clinic & Medspa offers facelifts for men and women in Palm Beach County, including West Palm Beach, Vero Beach, Wellington, and the surrounding areas of Florida. When you need to repair wrinkled skin of the face and neck that is drooping and sagging, Dr. Koger may recommend a facelift. By removing and “lifting” fatty tissue that is lodged just underneath the top layer of your skin, Dr. Koger can help you address sagging or wrinkled skin that occurs naturally as you get older. Dr. Koger’s approach to the facelift procedure begins with analyzing where volume has been lost and where gravity has caused pulling or sagging of the skin. Dr. Koger is also a strong proponent of excellent skin care in combination with surgery to treat the effects of aging on the face. Dr. Koger can correct and revitalize the aging face by replacing volume and gently pulling specific areas. During your procedure, you will usually be under general anesthesia. Dr. Koger makes incisions above the hairline at the temple, and if the neck requires attention, under the chin as well. Separating the skin from the fat and the muscle below, Dr. Koger then removes excess fat. The underlying membrane and muscle are tightened, and Dr. Koger sutures. 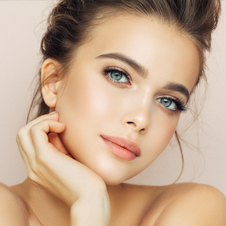 The best candidates for a facelift are those patients who want to repair those visible signs of aging so that they can have a more refreshed and less tired look. If you have fat deposits and folds of excess skin that appear around your neck, deep creases that have formed between the mouth and the nose, or a jowly and slack jawline, then a facelift with Dr. Koger can help you erase these signs of aging. In general, individuals in the age range of 40 to 60 are ideal candidates for a facelift, but Dr. Koger has also had exceptional results for some patients in their 70s and 80s. Damaged skin and excess fat are what make you look older and less youthful. By eliminating these issues with a facelift, Dr. Koger can restore years to your appearance. The first step for your facelift is to schedule a complimentary consultation with Dr. Koger. Together, you will determine the best course of treatment for your anti-aging goals. Dr. Koger explains the technique that he will use and help you visualize the results of the surgery. Facelift procedures are performed on an outpatient basis. You will be released the day of your surgery, so you should plan to have someone drive you home. The type of anesthesia that is used for a facelift depends on the technique. Some techniques can be performed with local anesthesia while others require general anesthesia. You will typically have a small tube under the skin behind your ear for the first 24 hours after your facelift surgery. Even though most patients experience very little pain after surgery, Dr. Koger will still prescribe medication to address any possible postoperative discomfort, and a certain degree of swelling and bruising is unavoidable. Dr. Koger may instruct you to use cold compresses to keep swelling to a minimum, and if a dressing has been applied, it will be removed within one or two days. Dr. Koger and his fantastic staff will also instruct you on how to keep your head elevated when lying down following your procedure. You will need to avoid as much activity as possible and should report any undue discomfort. All sutures and staples are usually removed within five to 10 days following surgery. Surgeons generally recommend that patients avoid vigorous activity for a few weeks after their surgery. Patients should prearrange for post-surgery support from family and friends. Follow-up care is vital for the facelift procedure to monitor healing. Dr. Koger will want to see you one day, one week, and one month after surgery to follow up on your progress and make sure that you are successfully getting back to normal. Once the swelling and bruising subside, you will see the full results of your facelift. 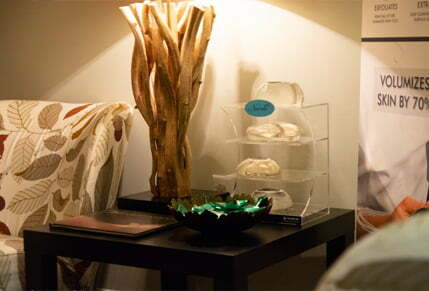 Our medical spa treatments can help with any remaining concerns, such as fine lines and age spots. The cost of a facelift is based upon the surgical plan that is developed during your complimentary consultation. We recommend that you review our financing options prior to the appointment so that you have a budget in mind when you talk with Dr. Koger. Dr. Koger is a board-certified plastic surgeon who offers facelift surgery for residents of West Palm Beach, Vero Beach, Wellington, and the surrounding areas of Palm Beach County. Contact us to schedule a consultation.